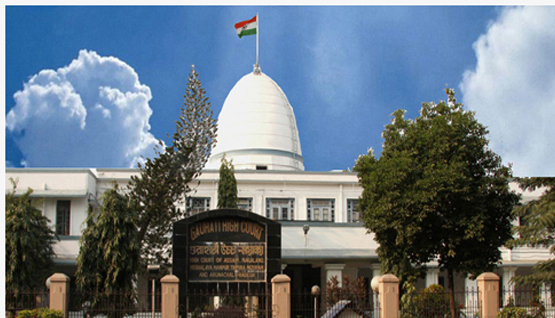 The Gauhati High Courtthrough an order has banned bandhs and blockades and declared them illegal and unconstitutional. According to information, giving judgement to a writ petition filed in the High Court, a bench of Justice Ujjal Bhuyan also issued guidelines to curb the menace of bandhs and blockades which are called by different organisations and political parties in Assam. The Gauhati High Court also ordered to create a fund to recover losses during such agitations from the organisers who call for such bandhs. Through the order, the High Court also asks to monitor anti-bandh action and directs superintendents of police (SPs) to personally file FIRs against all those who call for bandhs, road blockades and rail blockades. Besides, the SPs have also been ordered to report to the home department with details about the damages caused due to the bandhs within 7 days. The superintendents of police (SPs) have also been asked to prepare charge-sheets against the bandh callers. The Assam Police Accountability Commission has also been asked to to monitor the SPs in this regard. The Home department has been asked to file contempt cases if the court order is violated by organisers calling bandhs and blockades. The High Court also ordered that departmental proceedings should be initiated against the SPs who do not file chargesheet against the bandh callers. The High Court will file contempt case against the Home department if no contempt case filed by it. The Home department must ascertain damages caused due to the bandh and the losses will have to be recovered from the office-bearers of the bandh callers. A Bandh Loss Compensation Fund will have to be created and after recovery, the money will be kept in the Fund and from there loss disbursement will be carried out, the court order said.